The irony is they did know — at least to the degree of understanding the upended world of mourning a spouse — but instead of comparing our losses in a way that placed them on the same level, they emphasized what made my newly raw, current loss their focus. Their acknowledgment offered comfort in a comfortless condition. Last weekend at the Florida Writers Association annual conference, among the hundreds of attendees writing in every genre imaginable, I met several authors whose own grief deepens the portrayal of their characters. As we visited, I again recalled the differences in how people I know and love process their grief — and their nearly universal reactions too. When Hurricane Matthew barreled through Central Florida, my neighborhood was nearly unscathed. (My prayers continue for those whose homes were damaged and destroyed.) Before that storm, two hibiscus plants grew in my yard. 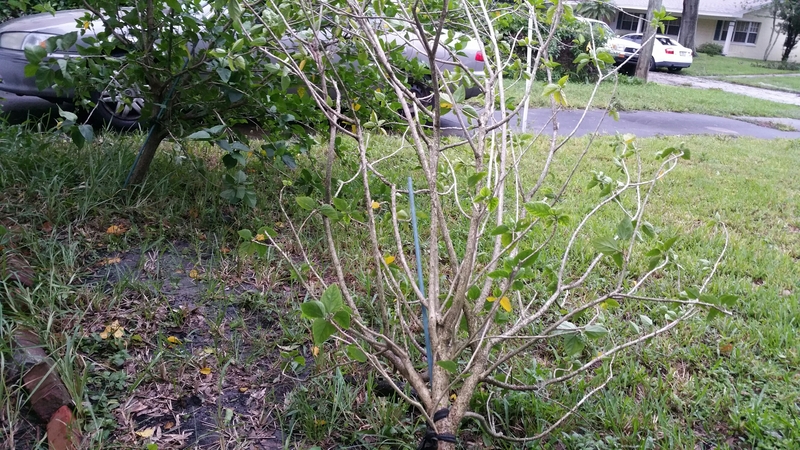 The winds and tropical rains stripped all but a few leaves from one and shoved it almost to the ground with its root ball loosened from the soil. The other hibiscus, though less sheltered by the shape of my house, kept all but a few leaves, and although it no longer stands quite straight, its roots hold so firmly I haven’t been able to push it fully upright again. The winds of grief blow some of us sideways and sometimes uproot us altogether. Stripped of our loved ones, we gasp in the vacuum of mourning. We flail in sorrow’s storm surge, and we recognize that — whether by downed tree or lifted roof or flooded foundation — our individual and collective lives will never be the same. We learn to bond, repair, and rebuild by what we share — the bereavement of severance from dear ones or homes or livelihoods or health — and we mourn with one another even in those different conditions. Rebuild we do, but in ways we’d never planned and in time frames only we can determine. Meanwhile, we appreciate those who are willing to sit with us in silence, hearing us wail and mourn and cry. And we appreciate those who keep checking in with us (even when we are “moody”) and who step in to help us lift and mop and hammer and bandage our lives back together. Thanks for what you shared. I think the same could be said of those of us who suffer from other kinds of trauma as well–abandonment, abuse, betrayal, illness, etc. None of us REALLY knows exactly what another person is feeling because our paths are so unique and individual, but we can empathize with compassion and therefore bring comfort and companionship in the middle of someone else’s pain. Yes, it absolutely applies to grief and trauma beyond the death of a loved one. The best way most of us can empathize with another’s loss is to recall our own feelings when faced with the worst trauma we’ve endured. We should silently consider what was (and wasn’t) helpful to us then as we determine how to comfort our grieving friends. Even if we don’t know what to say (or do), we should show up and listen (in person if possible but by phone or online if geography doesn’t allow).